Updates to Nancy L.'s profile since your last visit are highlighted in yellow. I have 2 beautiful daughters and 5 grandchildren plus one new great grandchild. Unfortunately, I have not met anyone from Saginaw since I went away to college in 1965. I started at Michigan State then moved to New York City and went to Brooklyn College and then spent 4 years at UCLA and graduated in 1972. Ten years later I went to Acupuncture college in Maui Hawaii, the Amerasian University and received my PHD in Acupuncture and in Oriental Medicine. I'd love to hear from any of my friends from my high school years. I am currently living in Spokane WA with my daughter and 2 grandchildren. I have both fond and also frustrating memories of going to Arthur Hill High School but I do remember some very special teachers and friends that I would love to hear from. Nancy L. Tewes Macauley has a birthday today. New comment added. 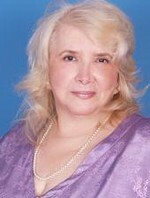 Nancy L. Tewes Macauley updated profile. View. 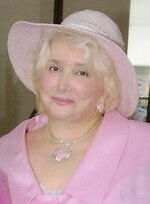 Susie Kaine Woodman posted a message on Nancy L. Tewes' Profile. New comment added. Nancy - wishing you a wonderful new 'birth year'!